Two of Barça’s Champions League group stage rivals are gearing up for local derbies this weekend – and they’re two of the most talked about derbies in recent history. The Manchester clash is being billed as José Mourinho versus Pep Guardiola, while Glasgow is preparing for the first Old Firm game since Rangers returned to the top flight after a four-year absence. For FC Barcelona fans, there will be plenty of familiar faces on the field at Old Trafford on Saturday (1.30pm CET). And in the dugouts too. In the blue corner, Pep Guardiola, winner of a combined nine Ligas and three European crowns in his time at the Camp Nou, is about to face his biggest test yet since taking over at Manchester City this summer. And in the red corner, Manchester United are managed by José Mourinho, who between 1996 and 2000 served as assistant to both Bobby Robson and Louis Van Gaal at Barça - at a time when Guardiola was first team captain. Mourinho, of course, then embarked on a glittering career as a senior coach. When he was at Real Madrid, the mind games he played with Guardiola produced lively headlines week after week. The quote-hungry British media are hoping for more of the same now that the two are in charge of the rival clubs in football-mad Manchester. The Portuguese manager has one former Barça player in his squad: Zlatan Ibrahimovic. The Swede scored 22 goals in 46 games during his sole season in Catalonia. 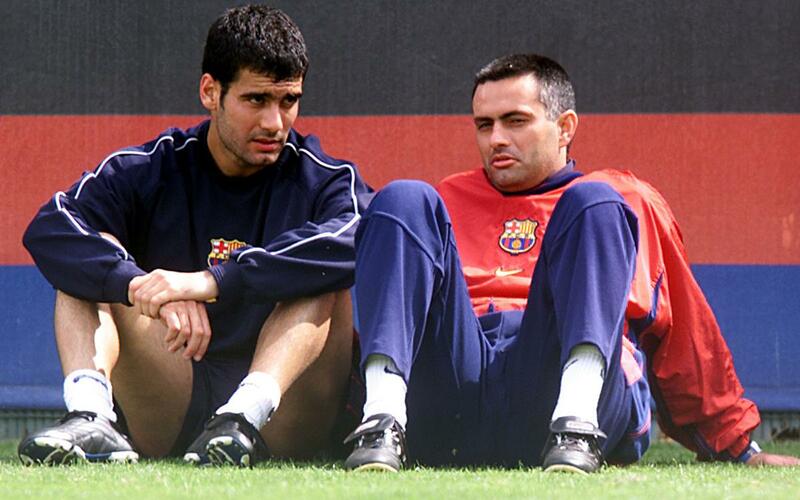 That was 2009-10, when Pep Guardiola was on the bench. Man City, meanwhile, have three players with a Barça past. Yaya Touré played for two seasons under Guardiola before switching to his present club, and it was also Pep who gave Nolito his first call-up to the Barça first team for a Copa del Rey game with Benidorm in 2010. Meanwhile, goalkeeper Claudio Bravo moved from Barça to City less than two weeks ago and has barely had time to train with his new team-mates. Whether or not the Chilean gets to make his debut on Saturday is something only Pep Guardiola knows. Both United and City go into the fourth game of the Premiership season on the back of three wins out of three – an achievement matched only by Chelsea. North of the border at 1.00pm CET on Saturday, the Scottish Premier League is gearing up for its first Old Firm match since Rangers went into liquidation in 2012. The club reformed with a new corporate identity, but had to start from the Third Division and work their way back up. Celtic and Rangers have met in a couple of cup matches since then, but curiously, the Celts have actually played Barça more often than Rangers in the last four years! Despite playing one game less than their Glaswegian rivals, Celtic currently top the table with a one hundred per cent record. In Germany, Barça’s other European rivals Borussia Mönchengladbach travel to Freiburg for a 3.30pm CET kick-off on Saturday. It’s only their second game of the season after they got things started with a 2-1 defeat of Bayer Leverkusen.